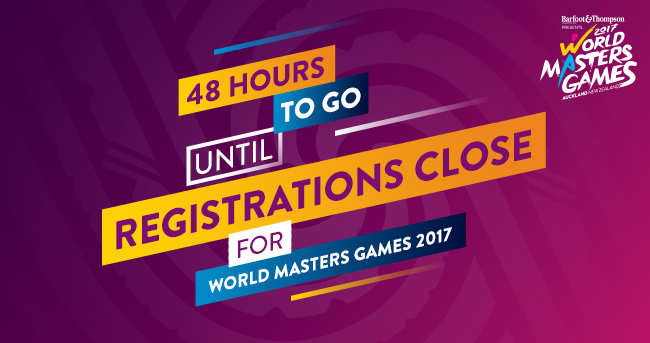 Get your skates on, because registrations for the World Masters Games 2017 and World Masters Orienteering Championships 2017 are closing. By midnight 3 March 2017 you need to have your registration sorted. Ready to go? Sign up here. There are now less than 50 days to go until the Games begin, and the world touches down in Auckland to eat, party and play. But if you aren’t in, you can’t be part of the action.